Oops. Missed teh target by one. Ohai to you too, Jack! 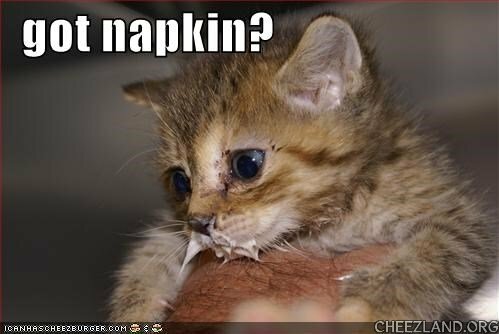 Yur rite… looks like kitteh finds dinner wif noes rather than eyes, yep yep. Nom nom nom.